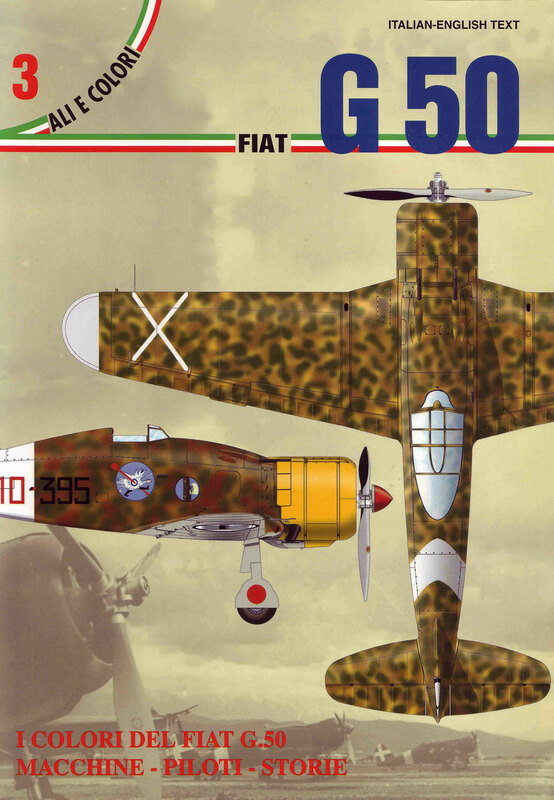 Fiat G.50 bis, MM.6395, of 351a Squadriglia, 155° Gruppo Autonomo C.T., Derna, July 1941. Three-tone camouflage scheme of Green and Brown blotches over Sand, with Light Grey lower surfaces. Wing national insignia on clear roundels and CMASA-type tail cross. Standard yellow cowl and blue-grey spinner. Typical camouflage scheme with dense and minute mottling, as used on early CMASA-built ‘Bis’ aircraft. Traces of field repaint can be observed, like the partially cancelled fuselage band, the camouflaged background of the upper wing roundels and the lack of the fuselage fascio. The individual code of very different design from squadron code, probably indicated a recent change. 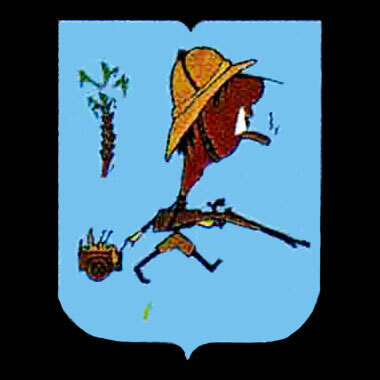 The fuselage insignia, designed by Sottotente Vittorio Galfetti and representing a rifle-armed soldier with tropical helmet, was the Gruppo badge, being formed at Ciampino in January 1941 and transferred to North Africa, where it continued operating from February to the end of the year. Fiat G.50 , MM.3594, of 351a Squadriglia (20° Gruppo, 51° Stormo C.T. ), Ciampino Sud, October 1939. Standard three-tone camouflage used on all first series aircraft, consisting in Green and Brown blotches on Sand background. Light Grey lower surfaces. Unlike aircraft sent to Spain these planes mounted single piece main landing gear covers as seen on the second prototype. 51° Stormo was the first major unit being armed with the new monoplane fighter since when it was formed at Rome-Ciampino airfield on 1 October 1939. However, only its 351a Squadriglia seemingly received first production series machines, as other Stormo’s squadrons received second production series aircraft, already incorporating all modification requested by Regia Aeronautica after the initial evaluation tests (open cockpit, balanced rudder and metal covered fin).